Up until last September, I got my hair done on a monthly basis and it was my little treat for all my hard work, it was the little luxury I never went without, and I always felt better when my hair was in order. After a pretty catastrophic experience chez coiffeur (fully documented in this blog), I lost all my hair enthusiasm. For the last two months, I have barely even straightened it, I just had no interest and wore it back in a ponytail most of the time- something I never did when I had pride in my hair. I realised that I am booked up for pretty much every weekend in December so if I wanted to have my hair in order for the festive season, I had to book an appointment pretty quickly, I called to get an appointment my usual hairdresser in Peter Mark in Nutgrove but I was shocked when I was told that she's no longer working in the salon! I find it such a chore researching salons and building up trust in hairdressers, never mind when I am still a bit scarred, but there was really one frontrunner in my mind, and that was the Style Club. Many of my fellow blogging buds have posted about their experiences in the Style Club salons recently, and I made my appointment. The Style Club have three salons in Dublin- North Earl Street, Pavilions SC in Swords, and the salon that I visited on South William Street. The salons are renowned for their bright, colourful and quirky interiors. I remember thinking that it might have been a bit OTT but I have to say, when you are actually in the salon, it feels really cool, edgy, fresh and different. I've never been in such a contemporary salon, and it was a nice little oasis away from the norm. From the minute I set foot into the salon, it was a hugely positive experience. I wasn't waiting more than 30 seconds at the reception when I was whisked away to a lovely pink little station, and the girl who got me suited and booted couldn't have been any friendlier, asking me a few times if I wanted tea/coffee or what kind of magazines I would like to read. The stylist Denise arrived again about a minute later, and sat down next to me and actually chatted about my hair story, how I wear my hair, what result I was hoping to achieve, and where do I see myself going with my hair, i.e. was there a particular result I wanted to work towards. This was all before I even looked at a picture or a colour chart. I have never in all my hair colouring life (13 years) had such a thorough and informative consultation and I felt that Denise really listened to what I wanted, and she gave me several suggestions and explained everything to me, even finding pictures to illustrate the different options that I had. I knew very clearly that I didn't want to just put in highlights in my hair, but I also knew that I didn't want to go much darker. I had a really hard time maintaining the blonde (full head highlights every 4 weeks) and my hair was getting fried from the bleach. I've enjoyed not having the terrible regrowth, and yet at the same time, I like having multi tonal elements to my hair, I don't think I would be happy with just one colour, especially when I have such a thick head of hair. 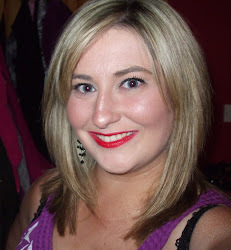 The natural option for me was to try balayage, something I never really considered before. I was worried that I would end up with dip dyed hair for 2 reasons- firstly. I'm just not cool enough. Secondly, my hair has been through a battering and I would like to be nice to it for as long as I can. I can't see how bleaching the bejingles out of the ends would help matters. I balked at the thought of looking like Kim Kardashian with those permanent black roots, but Denise took great time to show me pictures and explain both the process, aftercare and expected results. Today I settled on topping up my roots all over my head with a nice warm brown and scattering some browns throughout the rest of my hair to make it all match up. I also had some balayage down around my face and scattered around the back of my hair for a bit of movement and lift. I went for a semi permanent colour (again I nearly died when Denise looked for grey hairs but thankfully I don't have any yet!). Today was the first time in years that I didn't have a single meche packet/foil applied to my head, it was quite a relief, and I wasn't under any heat, it was quite a relaxing read of the magazines whilst I was letting the colour potions do their magic. I must say, Denise popped over to me a few times to make sure I had magazines and asking if I wanted a drink, and anybody that passed asked me if they could get anything for me. When my hair was being rinsed at the basin, they had the most glorious back massaging chair that rippled up and down my bad back and it was uh-mazing. I had a toner applied at this stage too just to blend everything together. When it came to cut, I explained how I was trying to grow my hair so I didn't want to take too much off the length but that I didn't want any dead tatty bits, and Denise took off about an inch all around and from the layers to tidy everything up. I've been trying to resuscitate my hair with deep conditioning treatments for weeks but still I didn't want dry, broken ends on my head. When we were chatting about hair styling as she was applying the colour, I mentioned that I am terrible at blowdrying my hair and that I can barely blowdry it dry, nevermind blow dry it straight. She offered to do a curly blowdry today for me and show me how she does it, again- I was very pleasantly shocked that she even offered and I gladly took her up on it. I'm really delighted with the result- I think it's a pretty natural, easy going look, it should be easy enough to maintain and my hair wasn't damaged any further by excessive colouring. I very much enjoyed my experience in the Style Club- it was quick, painless and I was in great hands with Denise. I was so impressed that I actually booked into the salon on the 13 December to get a curly blowdry done by Denise again for my Christmas work party. I couldn't recommend the Style Club or Denise enough. There was only one negative, Denise told me that she's heading off to Australia in January for a year! Honestly, the news was like a knife to my heart, but I of course wished her all the best, and I told her how grateful I was to her for all her time and attention and guidance. Even though Denise won't be there in January, she promised to write up a detailed note and said she would recommend a stylist with a flair for balayage so I would be in good hands. I would definitely get my hair done there again, no doubt, and if any of you are looking to get your hair done before Christmas and are looking for somebody patient and talented, get yourself to the Style Club. Everybody there was friendly and professional, not cold but not too talkative or intrusive either. My faith in the hairdressing profession has been restored and I'll actually look forward to my next visit!